We are pleased to announce that Dawn Hare has been selected as the new General Secretary of the General Commission on the Status and Role of Women. 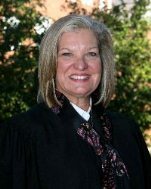 The commission’s board elected Hare, of Monroeville, Ala., to the position effective Jan. 15, 2013. The commission, one of 13 general agencies of the United Methodist Church, advocates for full and equal participation of women in the total life of the church and promotes stronger policies to address ministerial sexual misconduct and sexual ethics.